Meals on Wheels Delaware – Together we can end senior hunger. 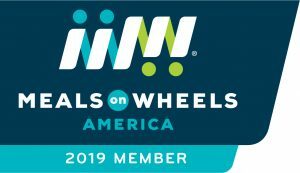 Meals On Wheels Delaware (MOWD) provides financial resources to meal-delivery programs statewide that offer nutritious meals, independence and a personal connection to homebound seniors. We support these efforts through volunteer opportunities for individuals, groups and businesses, as well as fun, engaging and inspirational events intended to raise awareness and funds to provide the support and resources needed to alleviate hunger and loneliness for homebound seniors. In collaboration with meal-delivery programs throughout the state, MOWD strives to ensure the uninterrupted delivery of hot, nutritious meals. More than 1,000 individuals volunteered their time to hand-deliver a meal to a waiting senior in 2017. Another 150 individuals volunteered their time in support of fundraising for the programs. MOWD raises funds through generous contributions from large and small companies, public and private businesses, and both for-profit and nonprofit organizations, as well as directly from the general public. MOWD supports five meal-delivery programs/locations statewide: CHEER, City Fare, Meals On Wheels Lewes-Rehoboth, the Modern Maturity Center and the Newark Senior Center. In 2017, more than 727,000 meals were delivered statewide to 4,360 seniors.